It's an 85th Birthday Extravaganza honoring Nathaniel Abraham, Sr.!!!! 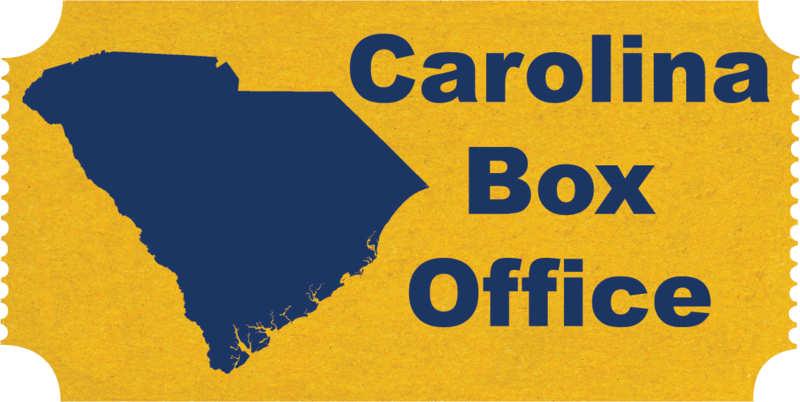 This Harlem Night's Themed event will be held Saturday, May 4th, 2019 at the Lourie Center in Columbia, SC. The event will be filled with live music, great food, and entertainment for all ages! 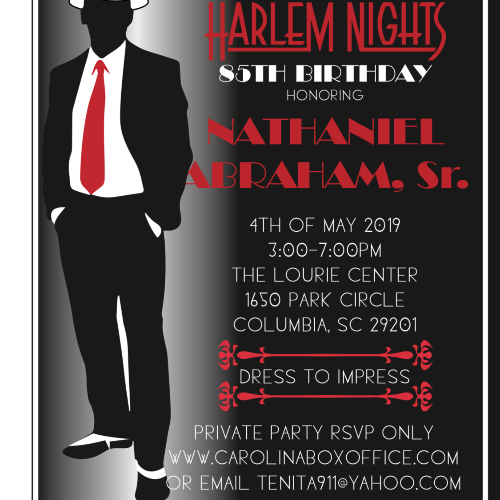 Guests are asked to come dressed to impress in your Harlem Nights attire and be prepared for a grand celebration of life! This is a private, invitation-only event with limited seating available, so please respond as soon as you can! RSVPS will not be accepted after April 27th. You may Contact Tenita Abraham at [email protected] with any questions. *Please purchase beverage choices along with your RSVP. * Please note deadline for group rate is April 19th.